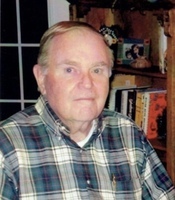 John M. "Johnny" Powell Jr. Provide comfort for the family of John Powell with a meaningful gesture of sympathy. The world lost a kind and loving soul on Thursday, March 28, 2019. John M. Powell, Jr., lost his battle with lung cancer at 2:16 A.M. Mr. Johnny was a friend to many in the Feliciana's and the Baton Rouge area. He was 82 years old. He loved his family, traveling, tractors, farming, cars and his farm in Norwood, La. He had an uncanny business mind and loved people. He never met a stranger and always knew someone wherever he would go. His strength and positivity was always on display. He was a superb salesman and won many awards in his younger days. He was an avid LSU fan and attended Southeastern University. He carried a silver dollar in his pocket for good luck everyday since 1957. He was a member of the Louisiana Forestry Association and American Legion. He supported St. Jude's Children Hospital. He served six years in the Army Reserve with several friends from Clinton. He served on the Board of Directors of Feliciana Bank until he retired two years ago. He previously served on the Board of Directors of Clinton Bank. He was a past member of the Clinton Lions Club and is a member of Grace Episcopal Church in St. Francisville. He owned Powell Pontiac-GMC before he entered the banking industry. He is survived by his loving companion of 12 years, Pat Norris, daughter, Jeffrie Powell Smith and husband, Wedon Smith of Clinton, LA and son, John Powell, III and wife Angie Yielding Powell of Platteville, CO, four grandchildren, Barrett Smith and wife, Casey, Bennett Smith and wife, Laurie, Taylor Powell Umholtz and husband, Nick Umholtz, and Morgan Powell and Fiance', Hunter Miller and great grandchildren, Addison Michael Smith and Camille Rosalie Smith and his little buddy, Beaux. He is preceded in death by his mother and father, Fanny and John Powell, grandfather, Charlie Stewart and Johnny's wife, Mildred Dipuma Powell. Pallbearers will be Calvin Dunn, Lyman Fleniken, John Stewart, Kyle Landry, Barrett Smith and Bennett Smith. Honorary pallbearers are Paula Estay, Becky Aucoin, Dr. John Piker, Jodie Rayborn and Chris Cox. He will live many more years in the heart of all who loved him. Special thanks to his caregiver, Anita Brown, Clarity Hospice and Radiation Oncologist, Dr. William Russell. Arrangements are Visitation at Charlet Funeral Home, Inc., Zachary on Sunday, March 31, 2019 from 4:00 pm until 8:00 pm. Visitation will continue on Monday, April 1, 2019 at Grace Episcopal Church, St. Francisville, from 10:00 am until service time at 11:00 am. Burial will follow in the church cemetery. To send flowers in memory of John M. "Johnny" Powell Jr., please visit our Heartfelt Sympathies Store. The Gunns Mike, Cathy and Caitlin sent flowers to the family of John M. "Johnny" Powell Jr.. The Gunns Mike, Cathy and Caitlin purchased flowers for the family of John Powell.